BHOLA: Awami League Advisory Council Member Tofail Ahmed on Sunday said BNP has become bankrupt politically because of its negative politics, reports BSS. “The BNP chief is now in jail being convicted in a corruption case. The acting chief is a fugitive staying abroad. He is wanted in several cases, including murder charges. No one trusts them,” he said, speaking at a view-exchange meeting with grassroots activists of AL units in Kachiya and Kapta unions at a school ground. 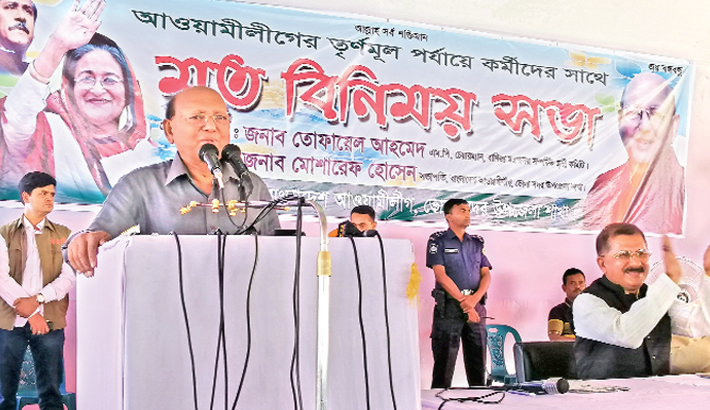 Tofail said BNP could not wage any movement in the last 10 years. “The BNP chief is now in jail. But, they couldn’t wage any movement as the people of the country are not with them and they are in existence crisis,” he added.